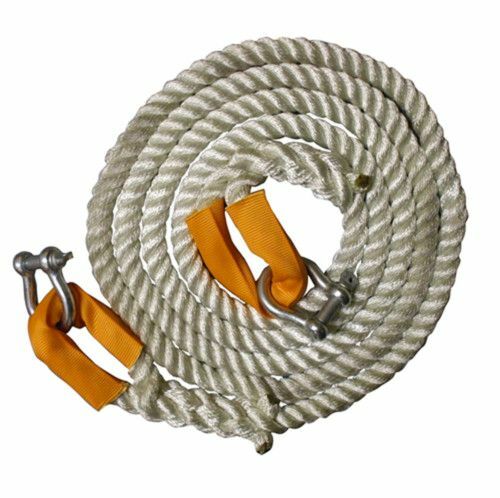 4 Metres x 24mm 3-strand nylon recovery / tow rope. The rope has a protective orange sleaving around each soft eye splice and completed with a galvanised bow shackle each end. The minimum breaking load of the rope is 12 tonnes. Ideal for vehicle recovery and 4 x 4 off roading. Please note the spliced eyes don't come with the webbing on anymore.